Circe is a witch. Everyone says so. Her powers have yet to manifest, but even if they did, an ancient curse prohibits her from using them. She’s also an orphan, and the coven who raised her reminds her of both every day. Lest she fall in love and very bad things soon follow. When the council tires of waiting, they take matters into their own hands. And Evan must make the call: step out of the shadows to save her, or keep his own skin. 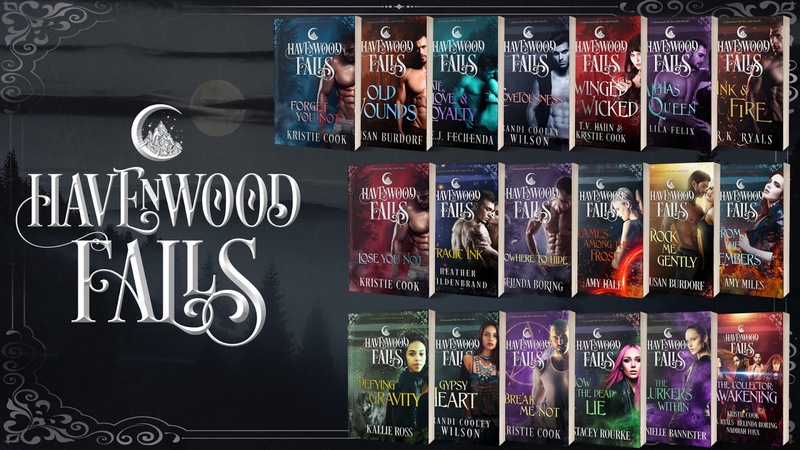 Havenwood Falls is a shared world, not a series, so feel free to read the stories in any order. 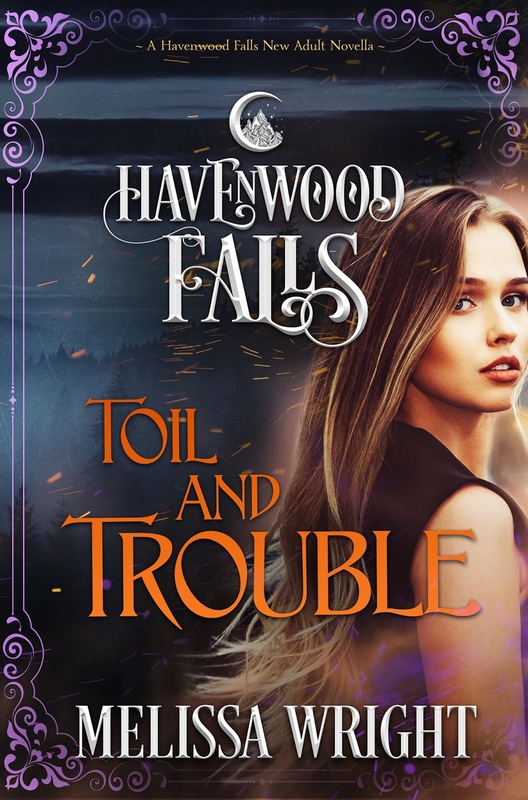 Toil and Trouble will be part of the Signature series (New Adult/Adult Paranormal Fantasy), but the world also includes Havenwood Falls High (YA Paranormal Fantasy), Havenwood Falls Legends (Historical Paranormal Fantasy), and Sin & Silk (The Sexier Side of Havenwood Falls). 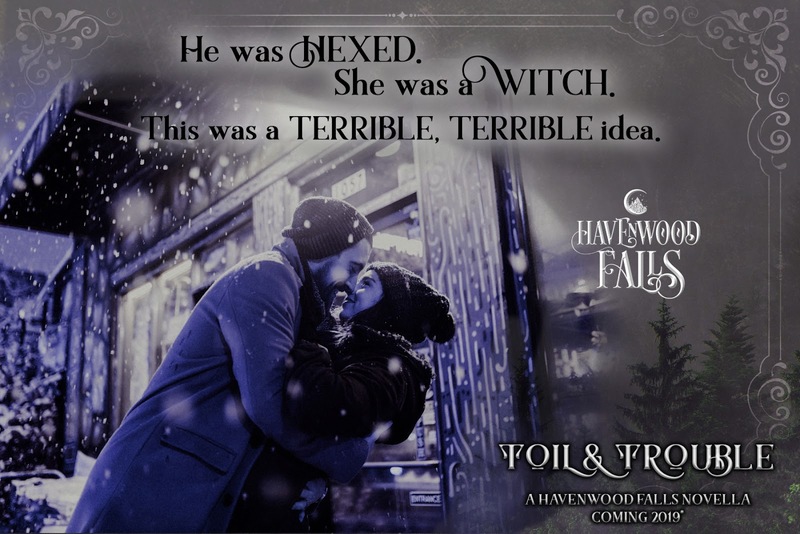 Sub-genres include paranormal romance, contemporary fantasy, supernatural suspense, mystery, and more–including shifters, witches, vampires, angels, sirens, gargoyles, curses, magic, and the constant conflict you might expect in a town populated with supernaturals.